News! Epcot Food and Wine Festival Adds an Extra Week in 2014! OK, all, we’ve got some AWESOME news!!!! THEY’VE ADDED AN EXTRA WEEK! 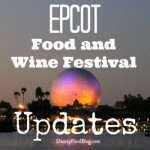 As always, DisneyFoodBlog.com will be your one-stop-shop for all things 2014 Food and Wine Festival. We’ll be here with Booth Menus, Eat to the Beat Concert updates, Signature Dinner lineups, Food and Beverage Seminars, and more. 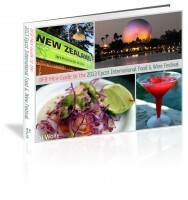 But for now, be sure to pre-order your copy of the DFB Guide to the 2014 Epcot Food and Wine Festival e-Book! With over 250 pages of details, information, advice, recommendations, and photos, it will have everything you need to know to plan your best Disney dining trip ever! And, the best news? If you pre-order your copy of the 2014 guide today, we’ll send you the 2013 guide immediately for FREE! Start your planning NOW for this Fall! 🙂 Use code CHEFS to get a $3 discount here! 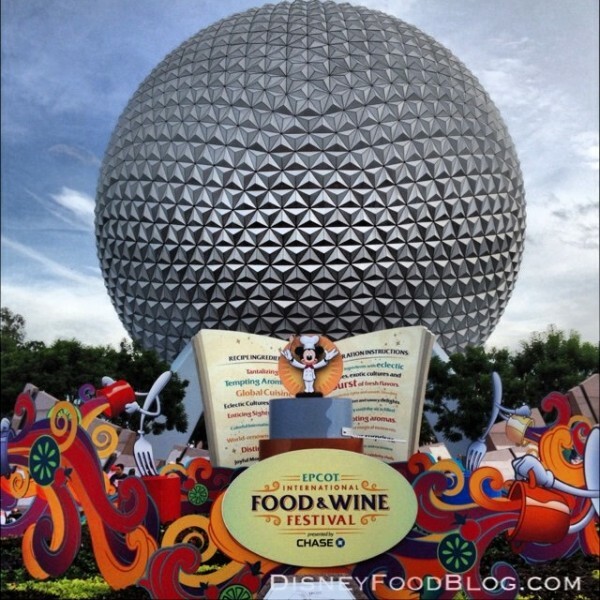 For all the details on the 2014 Epcot Food and Wine Festival, check out our 2014 Epcot Food and Wine Festival pages! I was hoping they’d add it to the end of the festival. It’s much cooler in November and more comfortable to walk around then. Any idea what Eat to the Beat concerts they’re going to add?? Just as an FYI – I went to pre-order my copy and the CHEFS discount was for $3.00, not $4.00. With the Flower and Garden Festival and Food and Wine Festival combined, couldn’t we just ‘clagg’ (Northern English for stick) the two events together all year round? I can understand perfectly, the need to have something to look forward to, but hey this is Disney. 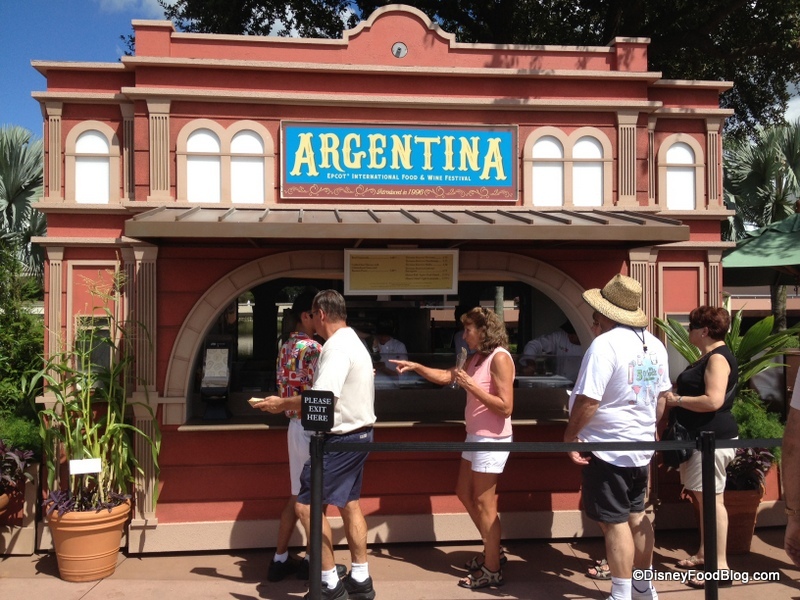 Let’s have food kiosks all year round at Epcot! Looks like it’ll start the day before our group arrives! Well this will certainly be a vacation to remember :)!!! The Disney website lists the dates as Sept 19th to Sept 30th. KJ — That website is incorrect (just a mistake on Disney’s part, I imagine; it should be fixed soon). The dates are always through November, and the correct dates are listed here on DFB and on the Disney Parks Blog. I agree with Dawn. It is very hard to take my son to Epcot between the crowds and the drinkers. We pretty much stay in FutureWorld only. I hope this extra week doesn’t mean Christmas at Epcot is postponed. I REALLy wish they’d extend it more into November and even Dec.. It was just too hot when we were there Mid Oct. and we ended up just not feeling like eating much. It’s a fact that people eat less when they’re hot, can you imagine how well it’d do (despite it being bananas now) if it was cooler?? I LOVED the Festival, but the heat was just too much. I’m wondering if the increase of drunk people and crowds at F&W is partly because of the closing of the clubs at DTD a few years ago. If you are going to do Epcot during the F&W then keep it to a weekday and early for WS. The later you get in the afternoon the worse it is. People walked between my son and I without even thinking about it. The crowds are thick even on a weekday, they would be much worse on a weekend. The last 2 years we went in the middle and end of October. Will there be a DFB Snack Party in October???!!!??? 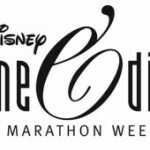 I’m planning a trip to WDW in October, and my husband and I would love to attend! 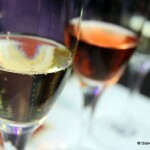 Holly, I find the Food and Wine Festival to be a wonderful day with my kids. They love trying the different foods. I know you have a toddler, but safety or comfort is not an issue, this is Disney. You may well encounter more drinkers later in the day and possibly a few revelers, but we get there at rope drop anyway and we wouldn’t keep our kids there past 1:30, that’s a sold 5 & a half hours in the park. Get in, get out and beat the crowds, the heat and any heavy drinkers. Holly, since your vacation starts right at the beginning of the Festival, my guess is that it will be quite crowded, since that was our experience when we attended F&W in the first few days. One of the sites Disney Food Blog recommends (lower down on the right hand column) under “Other Good Sites” is the All Ears site. 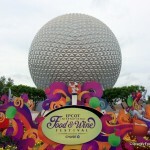 On their site, under “Rate and Review”, you’ll find reviews for Food and Wine under “Walt Disney Word Special Events”. I’m sorry to say that our experience with F&W was not isolated. The majority of comments (even those who raved about F&W overall) mentioned the crowds and excessive drinking. What are you people talking about? We have been to the Food and Wine Festival many times and we have never seen anyone that looked like they had too much to drink. After all it is Disney. We don’t even drink , we love to go and try all the different types of food. We actually book our Disney trip every year during the Food and Wine festival because it’s soooo awesome! S James is correct. The heavy drinkers are there later in the day and definitely in the evening. This has gotten quite out of hand the last several years. I have seen things that I never thought I would witness anywhere, let alone Disney. We need to do as suggested; get in and out early. We went to food and wine with three children (12, 10, and 4). Absolutely no trouble at all. For those parents that are concerned about the people who have had a little (or way too much) to drink, try to get there as soon as the W/F Festival opens at 11:00 A. M.( I think.) Go around to the back of EPCOT and do those booths first and work your way back towards the front of the park. This seems to work pretty well in order to avoid the heavy drinkers who usually start at the front and work their way towards the back. Good luck.